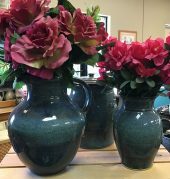 This beautifully crafted, elegant hand thrown vase makes for a gorgeous centerpiece that will not soon be forgotten. 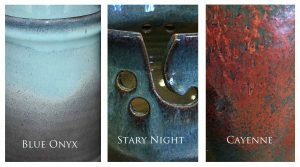 Blue Onyx, Stary Night or Cayenne available in two sizes. 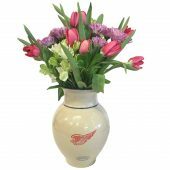 Available in two sizes with the Red Wing / Oval decoration. 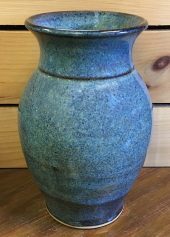 Enter your email to receive the latest offers, new product info, news and subscriber only offers.